You can have your cake and eat it, too! 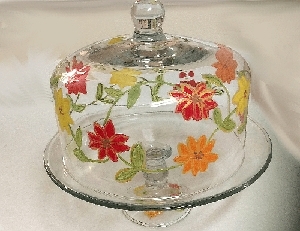 Clearly Susan offers Hand painted Cake Plates, hand painted Cake stands in a variety of sizes and shapes. 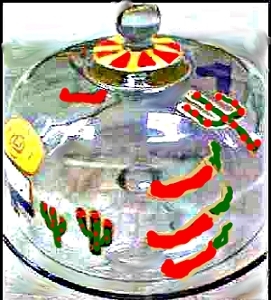 Our hand painted cake platesin vibrant colors and unusual designs they make wonderful wedding, anniversary, and Mother's Day gifts. If you have a particular design that you would love to come to life on a cake plate then let us know and we will gladly create one for you. 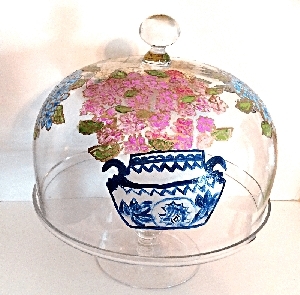 Clearly Susan's cake plates and stands are a special item for our customers as most designs are in flower themes. Everyone has a favorite flower and we love to hand paint the different requests. 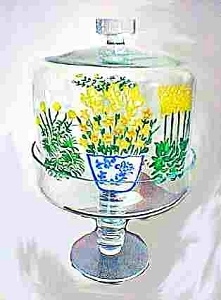 This was achieved by altering the existing serving platters often called salvers. They come in all sort of styles and sizes, covered with dome, not covered, tall pedestal or low pedestal. Twenty years ago cake plates and stands were hard to find, but now as everything else they have come back in fashion and we aim to keep up with the trend. Clearly Susan' cake plates are part of our serveware collection. 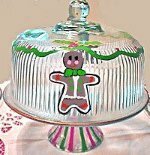 Put the spotlight on everyone?s favorite course with these stately hand painted cake stands, which are hand blown glass from Poland and Italy. If you do not see a size or shape you like we will try to find it for you.